Josh Kinder has been burned before. After a messy breakup, he's resigned himself to being alone. When a friend talks him into a night out at an exclusive club, the last thing Josh expects is to lock eyes with a handsome stranger—only for him to tell Josh that they're destined to be together, whether he likes it or not! Oh, yeah, and that he can turn into a lion. 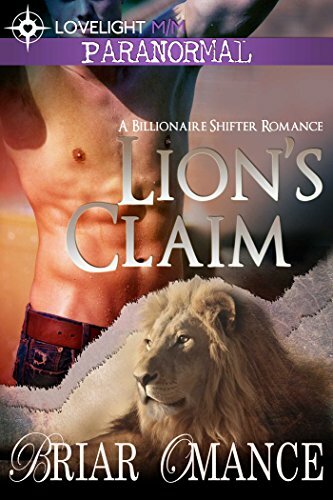 Lion shifter Mercer Steele is the heir to his pride's fortunes, with a catch. Unless he can find his fated mate before time runs out, he has nothing. On the verge of losing it all to a rival faction, he's ready to give in... Until he sees Josh, and knows he's found the one. But when he tries to claim his mate, Josh runs. Josh doesn't believe in love at first sight. Mercer can't afford to believe in anything else. With his rivals hot on his trail, can he win his mate in time to save his empire, or will they lose everything they didn’t know they had?